Sizzling romance you will never forget!The author really knows how to get your attention and makes the most of the steamy imagery. It was all too easy to get sucked into this paranormal story of seduction. What I liked most about it was that it wasn’t just some short erotica it was a full length novel and the characters had depth and emotion to them that you just can’t get from a short story. It made the reading experience that much more enjoyable.Rebecca is a wild and strong willed vixen. I admired her for her strength and her quirky personality. I loved that she was strong willed and had a mind of her own instead of being one of those whiny heroines who can’t even tie their own shoes. Oliver is a dark and mysterious man that knows what he wants and how to get it. I loved seeing him with Rebecca and even in their dom/sub relationship he cared for her. 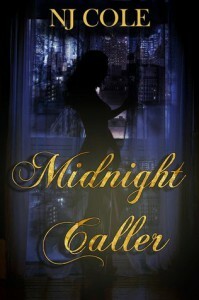 I liked seeing him come to fall in love with Rebecca it added some sweetness in an otherwise scorching read.For a sizzling read you won’t want to put down check out Midnight Caller.